I am planning a camping trip this weekend. It is not a real back woods camping trip. but +Sylvia Wormley and I will be sleeping in a tent with other cyclists in downtown Columbus, GA. This will be the first time that I have been camping since I have been in the information age. My last camping experience was way back in 2004 in Big Bend Texas. At the time I only had a Motorola Razor flip phone. I had not used since I had my trailer. I thought the battery was dead when it did not hold a charge after leaving it plugged in for two days. 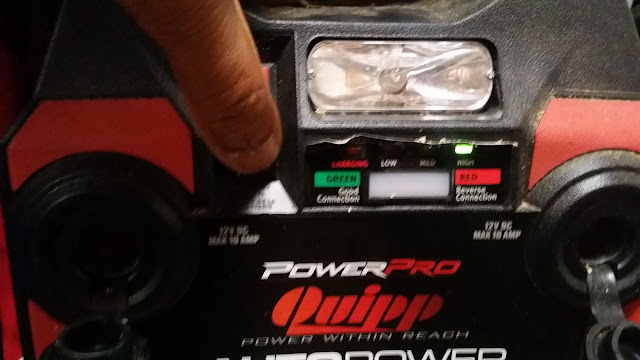 I just checked it today and after two weeks of charging the light comes on using battery power and the status button shows it to be fully charged. I do not know how long this will last charging my mobile devices, but I will sue it during the Georgia Bike Fest in Columbus, GA. camping adventure. 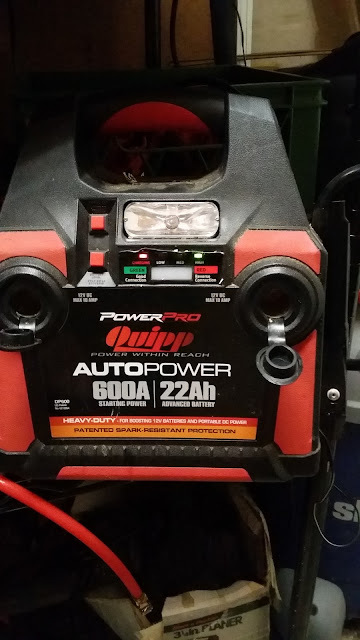 I think I purchased the PowerPro Quipp auto power 600A | 22Ah from WalMart. 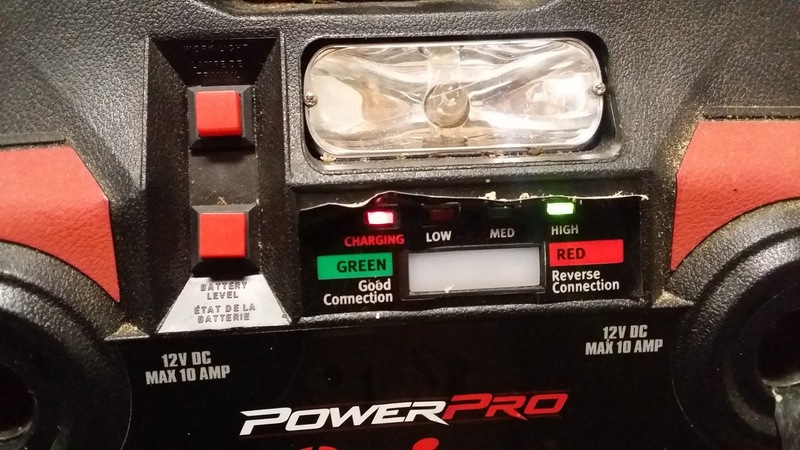 It has a led acid battery so it may not have a lot of life. I may have to purchase a replacement that is newer that has a gell cell or dry battery. For now I will use this until it fails. When unpluged from wall power the batter shows a full charge.